I’ve been away and so this post is a tad belated, it being the 4th January already, but I’ve been thinking a lot about 2014 and what I want to do in 2015. On the whole, it was a pretty good year. My loved ones stayed healthy, we travelled more than we’ve managed in previous years, we laughed lots and some memories such as singing and playing piano in the front garden on a summer’s evening will live with me forever. It’s also natural to reflect on the less positive aspects of the year while we look forward to the blank page that is the next year. In 2014 my primary school headteacher passed away. He wasn’t universally popular but he was an inspiration to me for the way that he always made us feel that we could achieve anything if we tried hard enough. And he understood – I remember being especially unhappy one day and him sitting on the playground bench beside me and listening. And he told me to hold the line, because this too will pass. It’s something of a cliche I suppose, but to the nine year-old me it was a talisman and something I still find myself muttering today. I always meant to write to Mr Spiller and tell him how much I appreciated him, and still do today, but I never got around to it and now it’s too late. I regret that massively and it’s taught me not to put off thanking people for their wisdom or telling them that you love them because you never know when it might be too late. Another thing I realised was that although I’m proud of some of the things I’ve achieved, there will always be others who follow and who sneer at the principles that were behind your work, mocking them to make themselves look better to others. There’s nothing you can do, it’s just in some people’s nature and I have to learn to let that go, however hurtful it feels. The referendum on Scottish independence was an important part of the year and my decision to vote Yes was not rash or easily arrived at but rather the result of hours of reading, research, discussion and debate. On September 18th I really thought we might win and that we would now be discussing the shape that we wanted our independence to take. Like many, I was bitterly disappointed and it was several days before I could move on from it and the anger generated by seeing politicians back-tracking on their promises only hours after the results were in is still there. It’s made me realise that if I want to see change in society, whether within the UK or not, I need to do more than mark my X on polling day. So I’ve joined a political party and I’ll be campaigning in the run-up to the May General Election. If I knock on your door please be nice to me! On a more personal, not really mentioned to most people, in 2014, I achieved a milestone and actually finished the first draft of a novel. Unable to judge it objectively – sometimes I thought it ok, other times I thought it was utterly leaden – and so, unwilling to let any of my writer friends read it, I sought the advice of The Writers Workshop, an editorial consultancy that came highly recommended by some professionals of my acquaintance. I needed to know whether there was enough potential to justify continuing to work on it – I have a lot on my plate and if writing was only ever going to be a hobby then it would have to move way down my list of priorities. There was a lot of trepidation when I sent it off, expecting a couple of platitudes and some brutal advice, but the feedback from an editor at one of the UK’s biggest publishing houses was very positive. Obviously, being a cynic, I asked an author friend if I should believe the praise and she rather sharply pointed out that of course I should, that it would be unprofessional to give feedback that wasn’t true. Consequently, I’m thrilled to have been told that “it’s absolutely clear that you can write”, that my writing is “very strong” with “compelling characters” and that I am “very talented”. My editor also – most usefully – had some very valuable, if tough, advice re my plot which I admit is a little baggy in places. Armed with some confidence and ideas on how to sharpen the text up, I’ve been scribbling all over the manuscript and come Monday I’ll be settling down to start revising. Obviously that’s just one person’s opinion but it’s a person who knows her stuff and it’s enabled me to justify making time for writing instead of apologetically shoe-horning it into odd half-hours. 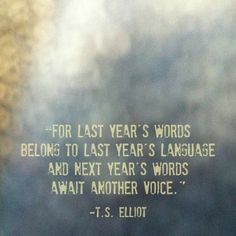 This has gone on long enough so I’ll write tomorrow about my intentions for 2015. In the meantime, what did you learn in 2014? This entry was posted in My Writing, Scotland, Thoughts and tagged Edinburgh, independence referendum, Scotland, Writers Workshop, writing. Bookmark the permalink. What did I learn? Focus on the core activities. Eschew attention thieves. A Zwerchhau can be a very direct sword stroke.